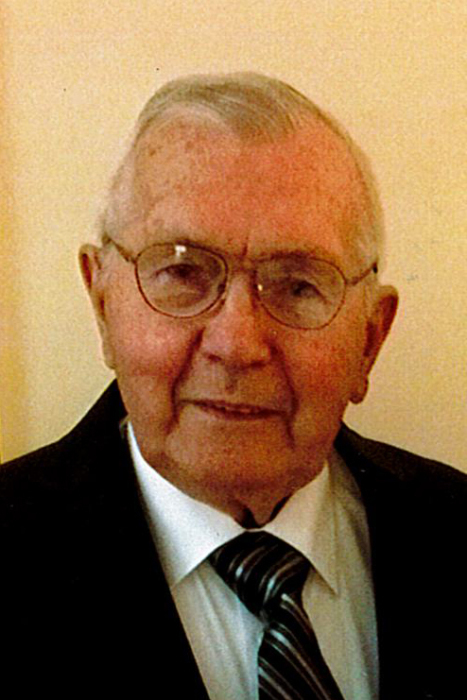 Carl Joseph Weisser, 83, of South Bend, IN passed away at 10:03 a.m. Sunday, February 10, 2019 at Hospice House. He was born on May 8, 1935 in South Bend, IN to Karl and Irma (Fuzy) Weisser. He was united in marriage to the former Marilyn Rantz in 1956. Carl is survived by his wife of sixty-three years, Marilyn Weisser; children, Steve (Melissa) Weisser, Kim (Tim) Basker, John Weisser and Paul (Janiece) Weisser; grandchildren, Jake (Erin) Basker, John Basker, Jordan Basker, Karl (Caitlin) Weisser, Alexis Weisser, Madeline Weisser, Seth Weisser, Grayson Weisser, Samuel Weisser and Jessica Weisser; great grandchild, Weston VanderVelden and brother, Robert (Rosalie) Weisser. Carl spent his entire life in South Bend. He went to Our Lady of Hungry School, Central Catholic High School and St. Edward's University. He spent eight years in the Marine Reserves. His first job was working at First Bank and Trust where he met the love of his life Marilyn. After getting married, he went to work for his father and two uncles at Weisser Brothers Grocery Store. After his father retired, he took over the business with his two sons, John and Paul. At age fifty-nine, he sold the store and went to work for Martin's Supermarket for fifteen years, retiring at the age of seventy-five. Carl and Marilyn had a wonderful life, spending many years attending their children's activities and sporting events. They attended the three boys swim meets and the grandchildren's events, baseball, basketball, football and 4-H fair. He loved being with the grandchildren and being called "PaPa". Carl and Marilyn attended St. Jude Catholic Church for sixty years where they met so many great friends. Carl was still getting together with some really good friends attending the card club which he had belong to for over sixty-years. Now they just talk about all the great times they had. He liked to fish and go arrow head hunting with his sons, doing puzzles, playing cards with his sons and grandchildren. Carl enjoyed going antique shopping with his friends, Joe and Sharon Molnar, working at funeral luncheons at St. Jude Church and going on Lenny's bus trips to the casinos once a month. He also enjoyed fun times with his brother, Bob and all of his brothers-in-law and sisters-in-law and many nieces and nephews. Carl was a lifelong New York Yankees fan. Carl enjoyed making his sausage for family and friends and teaching his grandsons to make sausage. A Mass of Christian Burial will be held at 11:00 a.m. Friday, February 15, 2019 at St. Jude Catholic Church, 19704 Johnson Street, South Bend, IN. Graveside services and burial will follow at Southlawn Cemetery. Friends may visit with the family from 3:00-7:00 p.m. Thursday at Palmer Funeral Home-Guisinger Chapel, 3718 S. Michigan St. South Bend, IN.